A collection of cups from around the world. 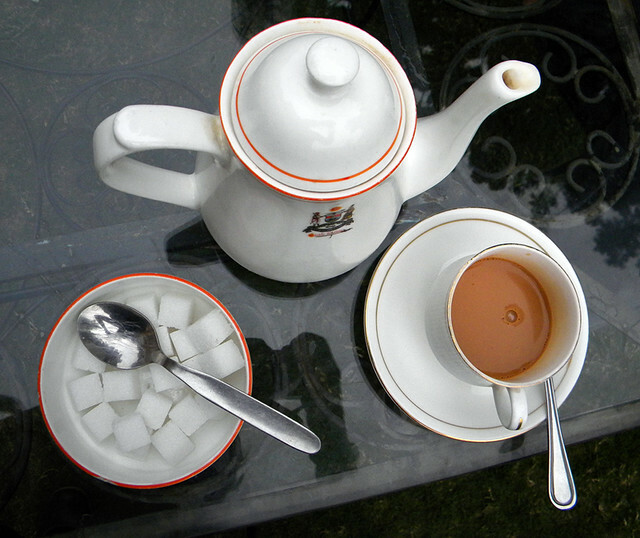 At Chittor Palace in India they serve chai from a teapot with the palace coat of arms on it. In La Quinta Coffee Plantation in San Sebastian, one of Mexico’s Pueblos Mágicos, I had one of the best-tasting coffees I have ever had. I only bought a kilo and a half, and when I got home I wished I’d bought a lot more! 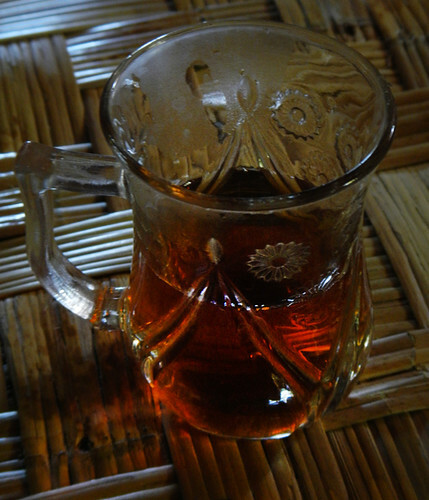 A cup of tea with a family in the pottery village on Inle Lake, Myanmar. 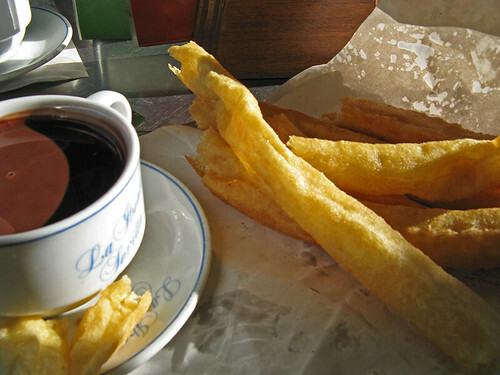 A cup of hot chocolate with churros in Sevilla, Spain. Mate, the favourite drink in Argentina, comes with a special strainer spoon and a cup made from a gourd and rimmed with silver. 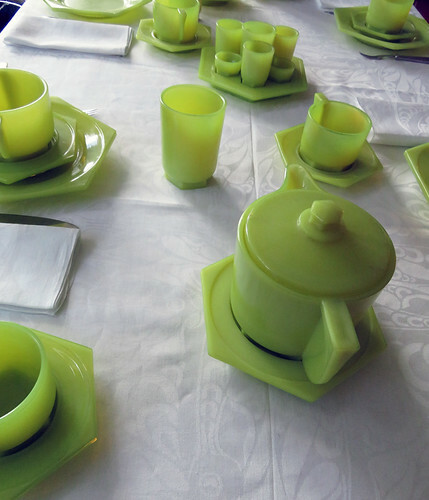 Lime green Bakelite dining set in the Sonneveld House in Rotterdam, Holland. 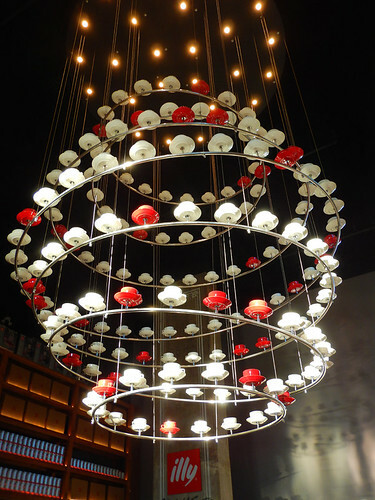 A chandelier made of coffee cups in a Vancouver café serving coffee, what else? More of Cee’s Fun Foto Challenge: Glasses and Cups. the chandelier is very unexpected. Great photos. the chandelier was a lot of fun, wasn’t it? I think illy coffee must have commissioned it – red and white are the company colours and cups of coffee its business – a perfect mix of art and business.